The Mazda CX-5 is the Japanese brand’s premier SUV model, first rolling off the production line in 2012 before picking up speed on the global market. Consistently one of the top selling cars in Australia, the CX-5 has proven to be a popular option for drivers looking for something that can handle the morning commute, as well as those long weekend drives. The middle ground in the wider Mazda range, the CX-5 may seem small in comparison to the bigger CX-8 and CX-9 models, but for those who don’t need a large SUV, the CX-5 may be just the ticket. 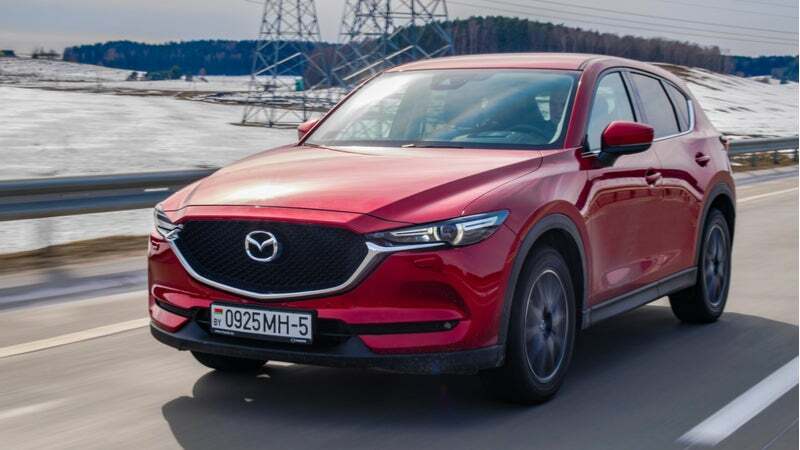 If you’re thinking about upgraded to an SUV, or you’re just curious as to what Mazda has to offer, read on to find out the prices and specs of the CX-5 range, and which model may be your new set of wheels. As you would expect, these models come at various different price points, with each boasting a number of key features. Below are some of the features you can expect, as well as what the final price tag might be. 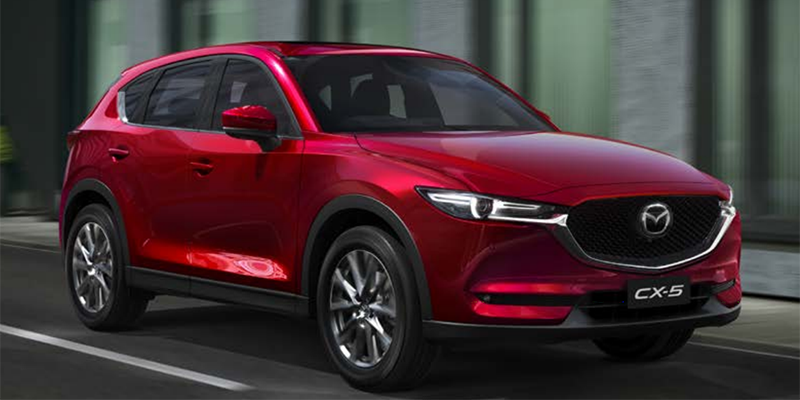 With a number of CX-5 models available, choosing one that fits your budget, as well as your lifestyle, can be a tricky balancing act, particularly if the colour you want your new ride in costs a little extra! 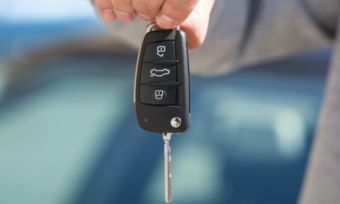 A new car is an investment regardless of which brand and model you decide to drive off with, so it’s important that you pick something that you’ll enjoy and get plenty of use out of. Below are the prices across the CX-5 range, gathered from the Mazda website. Each figure is the “National Driveaway Price for a private buyer, and includes 12 months registration, 12 months CTP, stamp duty, other applicable statutory charges, dealer delivery and administration charges”, according to Mazda, although prices may be subject to each location and dealership. These prices are also for the base of each model type, meaning any additional extras may also bump up the price. Sourced from Mazda website. All prices are calculated with the Sonic Silver Metallic exterior and standard interior option per model. So, what actually drives the difference in price? Here is an overview of each model, including varying specs and features. The entry model of the CX-5 range, the Maxx still has plenty to offer motorists, with enough options available to suit your driving preferences. Available in both FWD and AWD, you can choose between a 2L or 2.5L petrol engine, although the 2.5L engine is only available with auto transmission. With 115kW of power and 200Nm of torque, the Maxx has 1,800kg of towing capacity, making it handy for those weekend getaways or for when you get in a tricky situation. Coming with 17inch steel wheels, plus LED headlamps and 6.9L fuel consumption, the Maxx additionally includes a 7inch infotainment unit to help with all your creature comforts. A sat-nav is also available, but only as an optional extra. Coming in a 2L petrol FWD model, drivers can also pick up a 2.5L petrol or diesel AWD variant if you’re after something with a bit more under the hood, with all engine types available with an auto 6-speed transmission. Boasting a similar fuel consumption to the Maxx, as well as kilowatts and torque, the Maxx Sport primarily differentiates itself through its features, such as 17inch alloys, dual zone air conditioning and sat nav, along with Sports mode for those who enjoy putting the horses under the hood through their paces. Coming in a petrol and diesel 2.5L 4cyclinder engine, the CX-5 Touring model comes with AWD and a 6speed transmission, ideal for those long road trips. With a similar power output to the Maxx and Maxx Sport, the Touring model comes with a 6-speaker sound system, as well as Bluetooth capability and sat nav through the 7inch infotainment unit. Touring models also include front parking sensors, traffic sign recognition technology as well as an active driving display to help you keep safe on the roads. Only available in AWD, drivers have the choice between a 2.2L diesel engine or 2.5L petrol engine, with motorists also able to opt for a turbo petrol engine. All of these models come equipped with a 6speed auto transmission, along with 19inch alloys to help you get to where you’re going. The GT is also home to plenty of tech and specs to help make the driver comfier, including heated front seats, adjustable lumbar support on the driver’s seat as well as ten Bose speakers to help with your favourite tunes. LED Daytime running lamps and a remote operated power tailgate will also come in handy, with a sunroof allowing you to take in the view. Coming in a 2.2L diesel engine, or a 2.5L petrol or turbo petrol variety, the Akera is similarly available in AWD. While the petrol model will put out 140kW of power, the turbo model will pump up the output to 170kW, with 420Nm of torque, making it an ideal option for those looking to put the foot down. The Akera additionally includes G-Vectoring Control for those sharp corners, as well as ventilated and heated seats for optimal comfort, regardless of what time of year it is. 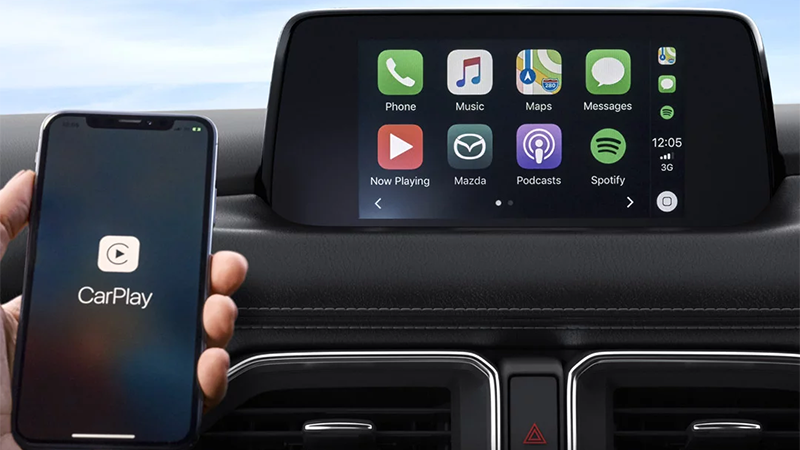 Other features include 19inch alloys, Bose speakers, Bluetooth connectivity as well as a 7inch infotainment unit as standard. Prices will be dependent on which extras you additionally add to your purchase, with Mazda offering a variety to suit your style. CX-5 Extras include alloy pedal covers, bike racks, cargo nets and boxes for additional storage, along with headlight protectors and mud guards. If you’re looking to turn heads, you can add the Kuroi Sports Pack, which includes a front, rear and side under spoilers and door mirror caps. You can check out all the available extras on the Mazda website. Which Mazda CX-5 should I drive away with? While there are plenty of options available for motorists to choose from when it comes to finding a new set of wheels, the Mazda CX-5 seems to be a popular option. While it may be more suited for the school run than off-roading adventures, the CX-5 is reasonably-priced within the SUV market, making it worth checking out for those who aren’t looking to splash out on a luxury brand. When it comes down to which CX-5 model you drive away with however, your personal preferences for your time behind the wheel will ultimately decide. If you’re after something with a bit more grunt to it, the GT or Akera range may be more your speed, while the Maxx range may suit those who are new to the SUV market. Looking into all your options and the additional extras available will help you find the best model for your next set of wheels, so be sure to do your research, as well as take a CX-5 out for a spin through your local dealership. If you’re looking at finding a new car, or are just interested in learning about what’s on offer from popular brands, check out Canstar Blue’s rating for new cars, as well as our best value and reliability ratings.